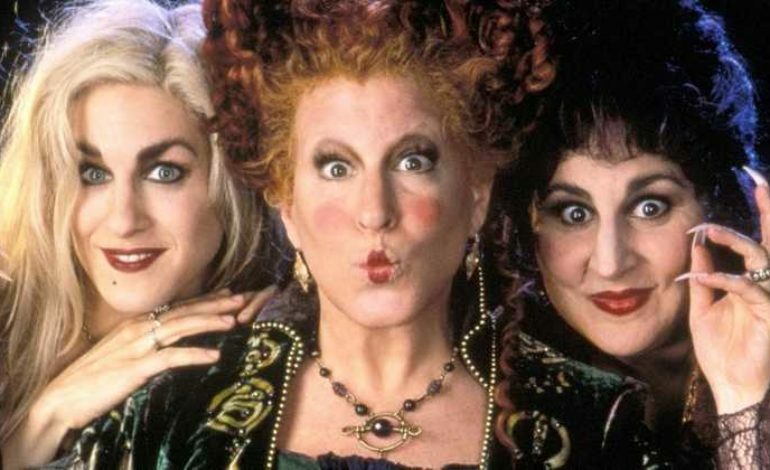 The Kenny Ortega directed cult-classic, Hocus Pocus, has become a Halloween staple since its 1993 release. This year, Hocus Pocus is celebrating its 25th anniversary with a 24-hour run on Freeform Halloween day, and its very own Halloween bash premiered on the television network October 20th. 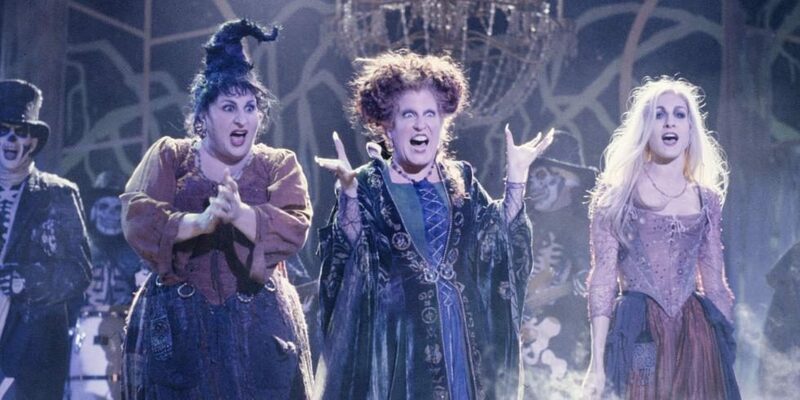 The celebration included live performances of songs from the Hocus Pocus soundtrack, including Bette Midler’s I Put a Spell on You, as well as interviews with the cast, writers and director. The famed film takes place in Salem, Massachusetts, 300 years after three witches, called the Sanderson Sisters, are hanged for practicing dark witchcraft and taking the lives of Salem children. 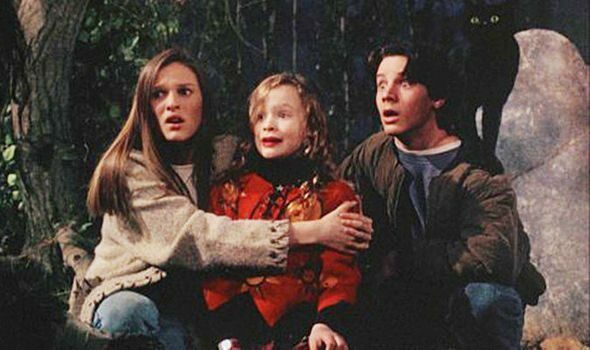 The three sisters return on Halloween night 1993, after Max (Omri Katz) lights the black flame candle to impress Allison (Vinessa Shaw), a girl from his new school. Sarah, Winnifred and Mary Sanderson pursue the children who awoke them, and all the kids of Salem, to perform their soul-sucking spell to keep them young and alive forever. Max’s little sister, Dani (Thora Birch), and Allison spend their Halloween night trying to out-smart and out-run the Sanderson sisters. Thackery Binx (Jason Marsden), a young boy-turned immortal cat by a curse from Winnifred’s devilish spell book, acts a guide to the youngsters, as the fate of all of Salem rests in their hands. Surprisingly, the movie that was centered around satanic witches luring children to their deaths with the song Come Little Children — which Sarah Jessica Parker performed herself — and an opening scene with a hanging, Hocus Pocus still earned the label “family comedy.” From flying on vacuum cleaners, to Kathy Najimy’s comedic face when she says, “I smell children,” the more morbid elements of the film are approached in such a brilliantly juvenile way, viewers are left with far more laughs than freight. Between the haywire personalities of the Sanderson sisters and the ridiculously comedic tactics of kidnapping Salem’s children, Hocus Pocus quaintly brought an-all new take on spooky, yet family-friendly films. Although, because of its uniqueness, critics of the early ‘90s had no clue what to make of the now-adored ridiculousness of the film. Following its 1993 release, Hocus Pocus received poor reviews from critics and the film left audiences confused. Some felt even with Ortega’s Disney-touch, Hocus Pocus was far too dark for the franchise and its targeted younger audiences. Others suggested the number of virginity jokes for a children’s film was discomforting. The Halloween classic was a major disappointment at the box-office earning well under the production budget. Aaron Wallace, author of Hocus Pocus in Focus: The Thinking Fan’s Guide to Disney’s Halloween Classic, told the Washington Post that he thinks Hocus Pocus was so original in 1993 that critics just didn’t even know where to begin analyzing the film. He explains, that a child dies on-screen within the first 10 minutes, Binx is run over by a bus and in the middle of it all, Midler stops and sings a song. The movie’s producer and co-writer, David Kirschner, revealed during Freeform’s Halloween bash that there was a lot of confusion of how to market Hocus Pocus at the time of its release. He added that it didn’t help that it was up against Jurassic Park and Free Willy that summer. Kirschner explained that Hocus Pocus actually started as a spooky bedtime story he told his daughters in the ‘80s. He had envisioned the tale as something far scarier than the story viewers know today and called it Halloween House. However, as Kirschner had shared the stories with his family, he hoped he could do the same with others around the world — cue the buck-toothed and wild-haired Winnifred (aka Winnie) Sanderson, a child-sniffing and quirky Mary, and a boy-obsessed and boneheaded Sarah. So, with short-coming box-office numbers and negatively concerned reviews, how is an entire month dedicated to the celebration of the Sanderson sisters today? Wallace has an answer for that too, the nostalgia-factor. The popularity of Hocus Pocus took a massive leap in the early 2000s when the movie began to air regularly every fall. He credits ABC Family’s 13 Nights of Halloween (now Freeform’s 31 Nights of Halloween) in the film’s reemergence. Wallace says kids of the ‘90s began rediscovering the Halloween classic as teenagers and found an all-new appreciation for the film, one that has since lived on and rebirths every October. Hocus Pocus continues to shatter program viewing records and with Freeform’s 25th anniversary bash, this year is no exception. The special held interviews with each of the Sanderson sisters, as well as other cast members who detailed behind-the-scene reveals of the making of Hocus Pocus. Director Ortega and cast members recalled having a live cat on set for Binx’s character. Ortega said they actually used nine different black cats who were all trained to do something different, like jump on Max’s (Katz) shoulder and hang on as he made his way through the graveyard. For Binx’s talking portions of the films, the production team dipped their toes into CGI, which back in the ‘90s, was a still-developing concept. Of course, now, the technology is a basic aspect in most modern films. Another fun fact from the film came from Doug Jones who played the “lost-soul” zombie, Billy Butcherson. Jones described his rising from the dead scene where Winnie tells him to catch the children. Before Billy can speak, and tell Winnie to “go to hell,” he must break through his latched mouth, releasing a cloud of dust and several moths. The zombie actor told Freeform viewers that the moths were actually real, and the film crew created a device in his mouth to protect the insects from his tongue’s moisture, so they could fly out on cue. All three of the Sanderson sisters’ actresses agree that the best part playing the Salem witches was flying. Midler described it as “one of the greatest joys as an actor,” and Parker even remained elevated in between scenes and read the New York Times.